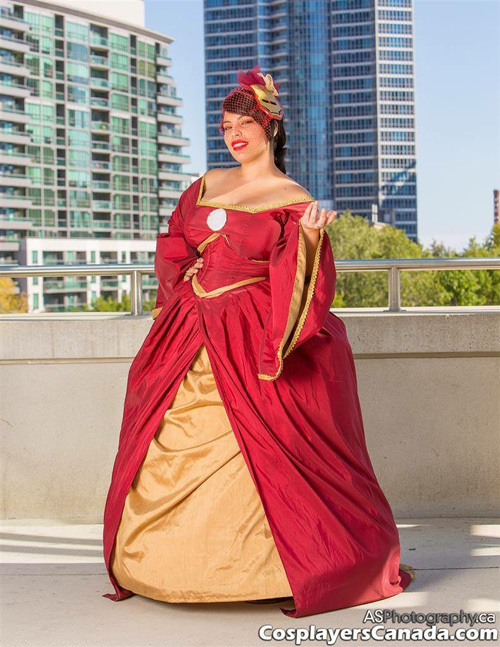 Geek Girl Lady Di Cosplay: "Fan expo this year was a blast! I saw some great friends, did some fun shoots and spent all my money on cool merch. 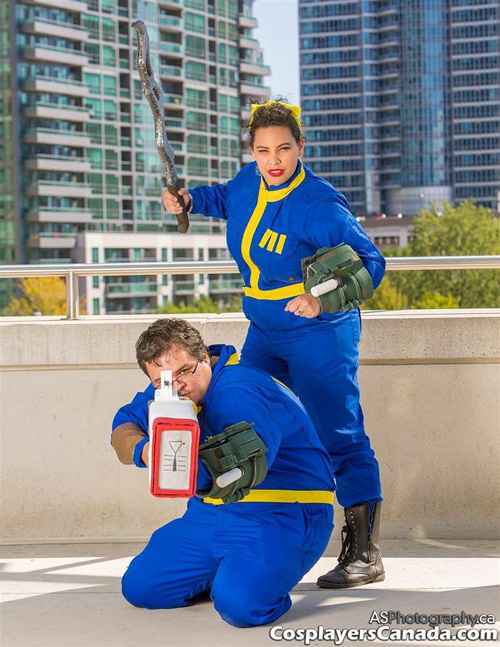 I wore my Iron Man ballgown on the Friday and was a Vault Dweller for the rest of the weekend. I really enjoyed the convention this year, I felt it ran much more smoothly this year compared to previous years and the crowd control was a lot more efficient. I look forward to next year!" 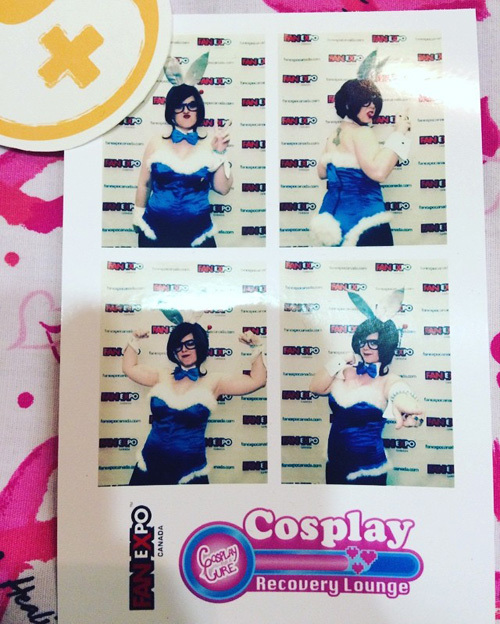 Geek Girl Lily Spitfyre: "I had an absolute blast at Fan Expo! I was lucky enough to be invited by the organizers along with other Geek Girls to attend the event, and enjoyed every minute of the Friday and Saturday I attended. Friday I cosplayed Jessica Rabbit, an old favourite I had revamped. I loved all the love and support I got from my fellow ladies while I was wearing it! My favourite part of the entire costume was my new wig. (Investing in a better wig was the key to pulling off this new version of my old favourite.) Saturday was Elvira day, and even though I might have been the only Elvira at the con, I was glad to have made so many people's day! I'll give you one... Okay TWO BIG GUESSES as to my favourite part of that cosplay!" Geek Girl Northern Belle Rogue: "This year was rather unique for me at Fan Expo as I was working it in a myriad of capacities and thus did not get to cosplay as much as I usually do. That said, I ended up meeting many individuals I wouldn't normally get to see, my favourite of which was John Barrowman. 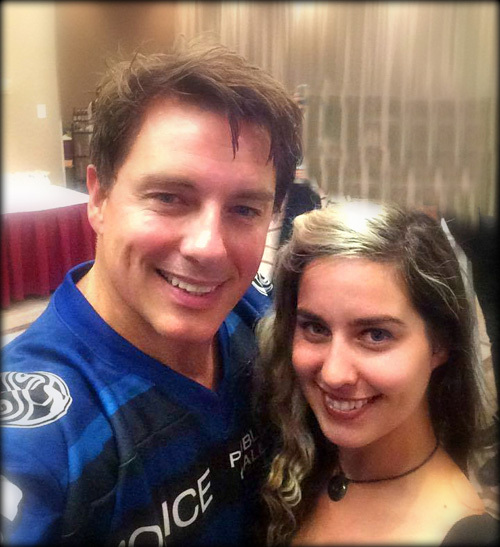 He is such a funny and genuine human being and the fact that he offered and took the selfie on my photo made me hate Malcolm Merlyn just a little less ;). I also had a chance to don my Mera, an original concept I had made for Avalon Expo in Newfoundland the previous weekend. Big thanks to The Sean Ward Show for having me at his table for part of the event, without that I wouldn't have gotten to see have the folks I love at these events. Hope y'all enjoyed the convention as much as I did!" 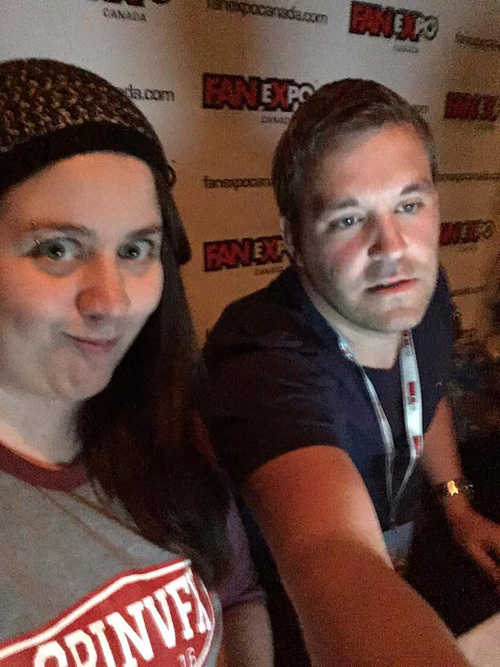 Geek Girl Shelle-chii: "Even though I got sick from it, I had a blast at Fanexpo2016! I was only able to go on the Friday but it was really great to be able to see everyone that I did. I got to walk around with some awesome people and get some shoots done, then went to the cosplay area to meet Yaya! She was so nice, and I'm always so surprised to see how tiny she is, she looks so much taller in her pictures! I wore my Poro Queen cosplay all day and was really happy with how it went over. Its really fun to wear the only thing i was scared of was my cape on the escalators!� After getting more photos done at Roundhouse Park, I headed over to Hard Rock Cafe where I helped host the SonicBoomBox afterparty, which was a blast! I'm sad I couldn't make it to the rest of the weekend, but there will always be next year!" 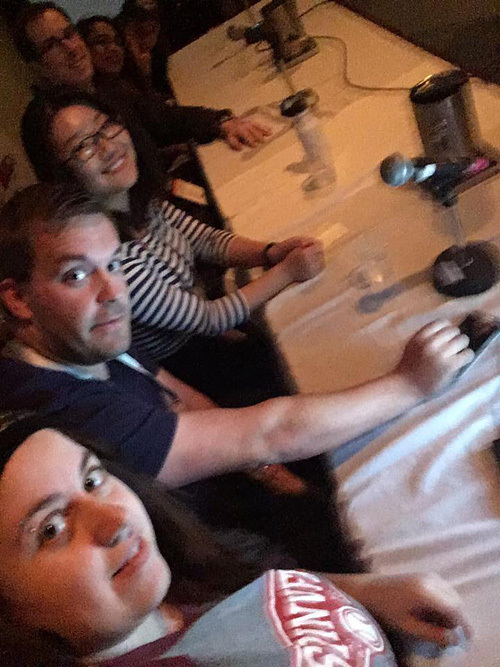 Geek Girl Jenn Marvel: "So this year I was asked by Fan Expo to do a panel on Visual Effects.� We had our panel on the Friday evening and it was a huge success.� I was accompanied by 6 of my colleagues from various departments from Coordinators, vfx supes, compositors and matte painters. We had a full house the room was packed, They were so engaged in the panel that we went over on time by an hour. I had a really really great time doing that I even made a new demo just for this event and I am really happy with it.��I decided to take the Saturday off from fan expo this year because it's normally very crowded and I wanted to avoid it this year. �I ended up going on Sunday, and this was purely to shop. I brought my son who was very excited and we walked around all the vendors and enjoyed seeing all the booths and familiar faces. I didn't cosplay this year because I am in the middle of a move and all my stuff is packed away in a storage container so I really didn't have anything to wear. �I am hoping I get to do a panel again next year I had a blast. till next year Jenn Marvel"
Geek Girl Gina G.: "FanExpo this year was a whirlwind of awesome! 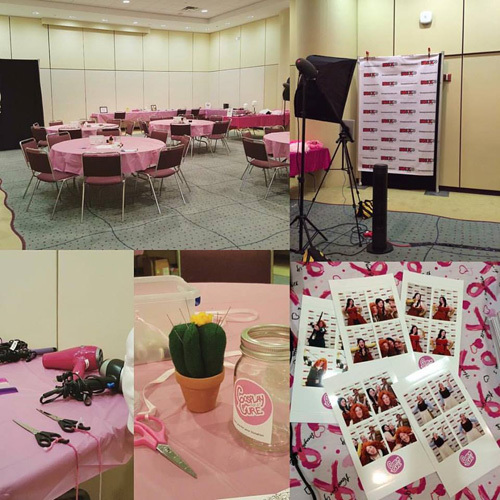 For most of the weekend I was helping out with the Cosplay for a Cure Recovery Lounge where we hosted a room for cosplayers to rest, relax, and repair their costumes. Based on the response from cosplayers, we're certainly hoping to be back next year! 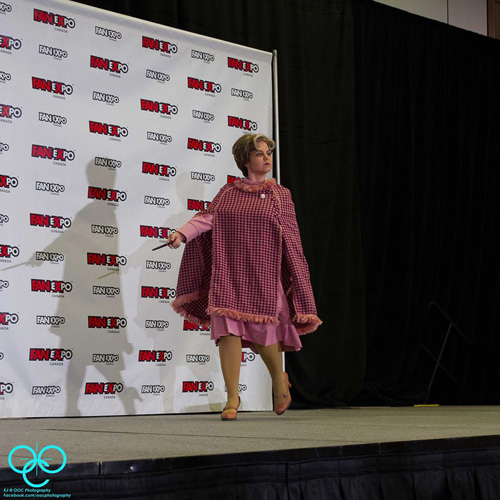 I also entered the masquerade with my Professor Umbridge costume from Harry Potter. My skit about 'Wand Safety' scored me Best In Show! I couldn't believe it! You can watch a video here. Overall, a great time was had with old friends and new, and I can't wait for next year! Love, Gina"